7 PEMERINTAH KOTA PONTIANAK DINAS PENDIDIKAN Jl. Letjen. Sutoyo Pontianak, Telp. 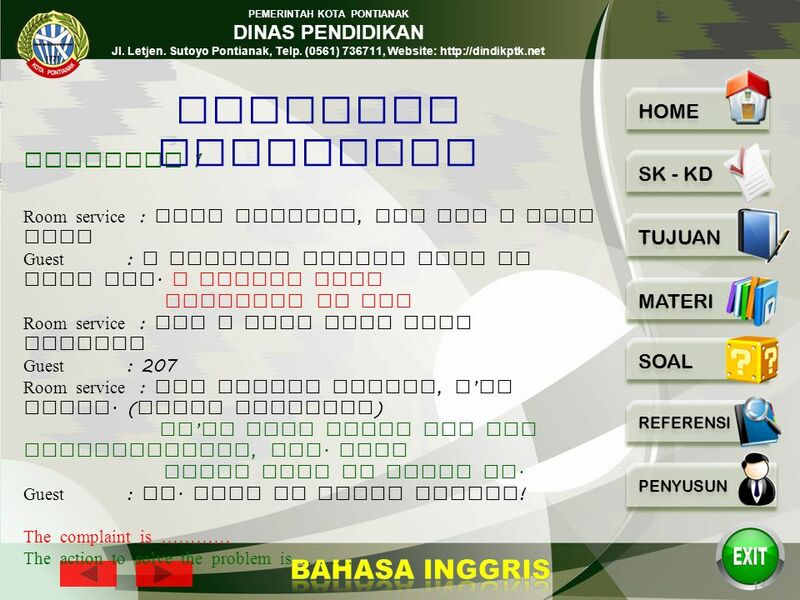 (0561) 736711, Website: http://dindikptk.net 6 Complain ( v ): mengadu Complaint ( n ): pengaduan Return ( v ): mengembalikan Exchange ( v ): menukar Receipt ( n ): nota Inconvenience ( n ) : ketidaknyamanan Apologize ( v ) : minta maaf Refund ( n ): uang ganti kerugian Guarantee ( v ): menjamin Study the following vocabularies ! 8 PEMERINTAH KOTA PONTIANAK DINAS PENDIDIKAN Jl. Letjen. Sutoyo Pontianak, Telp. (0561) 736711, Website: http://dindikptk.net 7  A complaint is the unsatisfied feeling of the customer about what he or she has ordered to the owner.  It includes the products and the services.  The owner should give the solution / handling What is a complaint ? 9 PEMERINTAH KOTA PONTIANAK DINAS PENDIDIKAN Jl. Letjen. Sutoyo Pontianak, Telp. 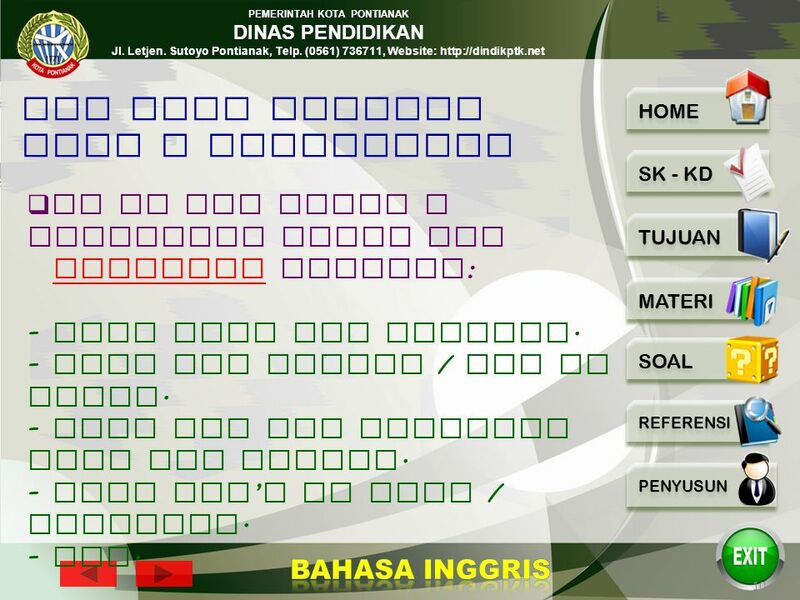 (0561) 736711, Website: http://dindikptk.net 8  He or she makes a complaint about the products because : - they have bad quality. - they are broken / out of order. - they are not suitable with the sample. - they can ’ t be used / operated. - etc. Why does someone make a complaint? 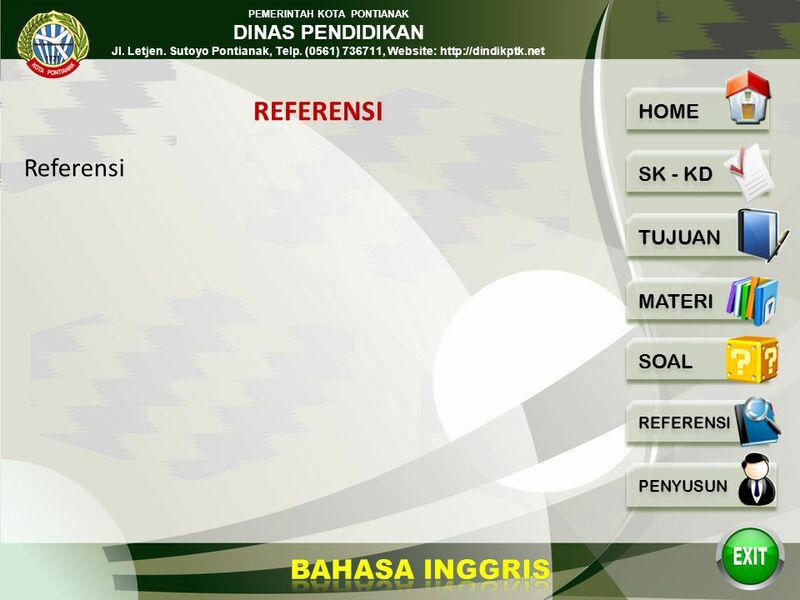 10 PEMERINTAH KOTA PONTIANAK DINAS PENDIDIKAN Jl. Letjen. Sutoyo Pontianak, Telp. (0561) 736711, Website: http://dindikptk.net 9  He or she makes a complaint about the service because : - the owner has given poor service. - the service is too long. - the condition of his order is bad, the lamp is off, no water, no towel, etc. Why does someone make a complaint? 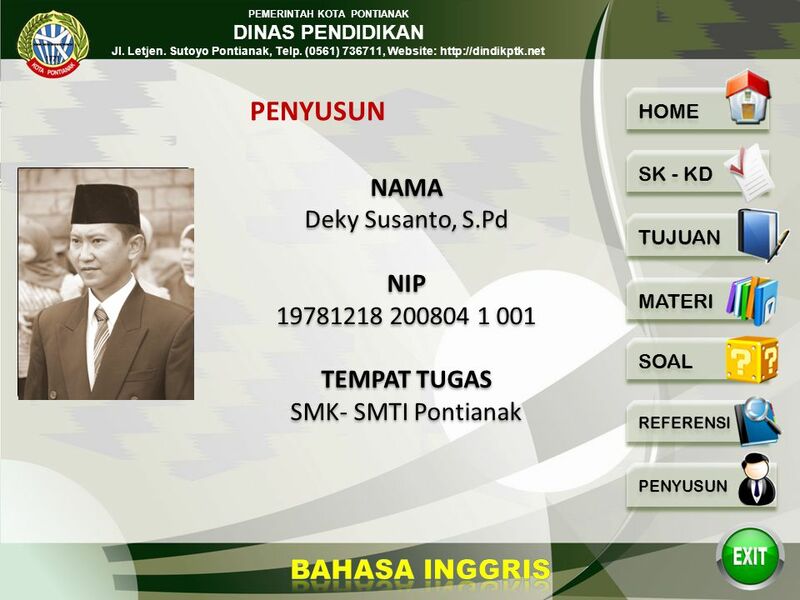 11 PEMERINTAH KOTA PONTIANAK DINAS PENDIDIKAN Jl. Letjen. Sutoyo Pontianak, Telp. 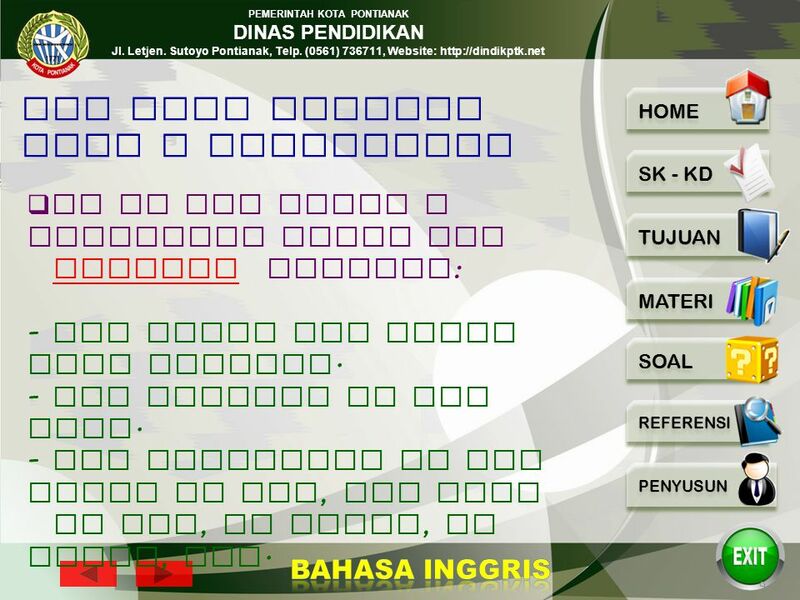 (0561) 736711, Website: http://dindikptk.net 10  He or she makes a complaint about the products because : - they have bad quality. - they are broken / out of order. - they are not suitable with the sample. - they can ’ t be used / operated. - etc. Why does someone make a complaint? 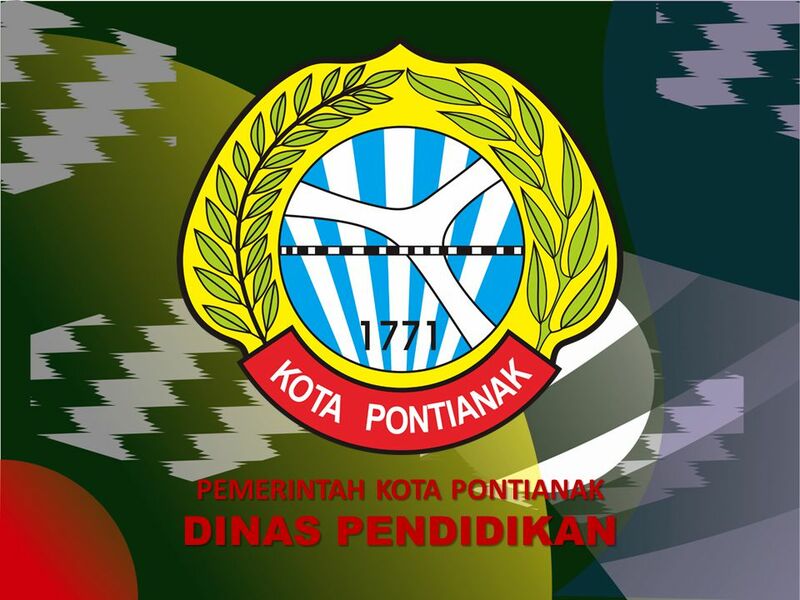 16 PEMERINTAH KOTA PONTIANAK DINAS PENDIDIKAN Jl. Letjen. Sutoyo Pontianak, Telp. (0561) 736711, Website: http://dindikptk.net 15 MATERI LANJUTAN Dialogue 3 Guest : Good morning. I wonder if you could help me. Hotel Staff : Good morning, Sir. What seems to be the problem? Guest : The air - conditioning doesn ’ t work. Whom do I contact? Hotel staff : You ’ ll need to call house keeping. Guest : I ’ ve done that, but no body has shown up. Can you help me? Hotel Staff : I ’ ll check with house keeping. May I have your name and number? Guest : Haikal. And my room number is 439. Hotel Staff : Mr. Haikal Room 349 would you mind waiting a moment? Guest : Sure. ( after checking ) Hotel Staff : I ’ ve checked with engineerin, Mr. Haikal. The air conditioning will be taken care of right away. We apologize for the inconvenience. Guest : It ’ s all right. The complaint is …….. The action to solve the problem is ……..
Download ppt "PEMERINTAH KOTA PONTIANAK DINAS PENDIDIKAN PEMERINTAH KOTA PONTIANAK DINAS PENDIDIKAN Jl. Letjen. Sutoyo Pontianak, Telp. (0561) 736711, Website:"